Grave concern has been expressed by members of the public and some veterinarians about the use of Valabarb as a means of euthanasing (destroying) dingoes on Fraser Island. 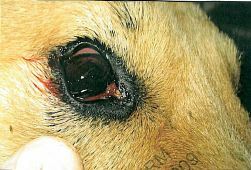 It is highly recommended by all vets that Zoletil (anaesthetic) be administered prior to using valabarb, as valabarb causes an excruciatingly painful death for the animal. However, Recent RTI information shows that, of the approximately 30 animals destroyed with valabarb, 9 do not appear to have received Zoletil prior to destruction. Of these, 7 were animals that Jennifer Parkhurst had observed, such as Moonlight, pictured above. In one case an animal was injected 4 times in the intracardiac region (heart) before it eventually died. Permission to use valabarb is usually only granted to veterinary surgeons, but can be used by wildlife carers and government officials. However, there are strict guidelines for use by wildlife carers. Each instance of use must be fully documented. This document must be written or endorsed by a veterinary surgeon employed by, contracted or providing services to the organisation. In addition, the organisation must re-submit a protocol, which has been updated or endorsed by a registered veterinary surgeon, every three years. At this stage we have not been able to gain access to any protocol documents from the Department, nor have we been able to discover if any were submitted. The necropsy report stated that the otherwise healthy dingo had been restrained for ‘some period of time’. It had been pinned down by a pole noose and pinning device. It had chipped and fractured teeth, extensive internal bleeding, including extensive bruising and haemorrhaging to the thorax, limbs, neck and lumbar spine region, bleeding from the eye, tearing of the muscles between the ribs and the chest wall, and congested and collapsed lungs. In its final moments of life, the dingo vomited its stomach contents into its airways. SFID was informed by DERM that a full investigation had taken place and there was no case to answer with regards to animal cruelty. They also indicated that this was an isolated case and had not occurred before. However, deficient record keeping means that no such data is available for scrutiny. Only recent necropsies have been outsourced to independent veterinarians, due to pressure applied by SFID. Nothing short of a full, independent investigation of the circumstances surrounding this cruel death is now required, with a view to criminal charges being laid under prevention of cruelty to animals legislation. 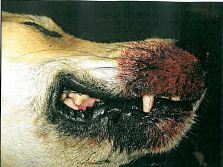 The following photos included in the necropsy report, while disturbing, show that at the time of its death this dingo died in agony. Photos from Necropsy report. Please leave your comments below as a message to all concerned that you do not think this is appropriate treatment of a World heritage Iconic animal. 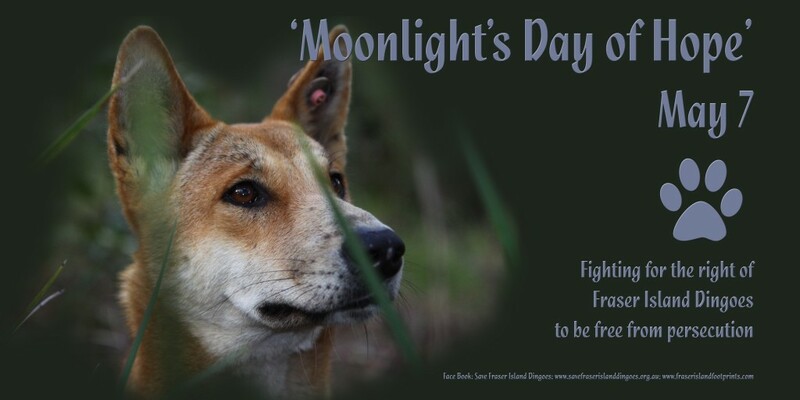 Like ‘Oscar’s Law’, ‘Moonlight’s Day of Hope’ should be a tribute to all of the Fraser Island dingoes that have needlessly suffered agonising deaths. Do these people not know ( I am certain they are aware and simply choose to ignore proper procedure ) that only after Zoletil has been administered ( a very common practice amongst many Vets and Wildlife Organisations ) can the the euthanasia drug Valabarb can be administered and if it is administered then regular common practice is intravenously into a main vein. Not the bloody heart. Talk about lack of compassion and cruelty. Moonlight. It comes with great sadness and tears from the heart knowing that your precious life was taken so callously. You remain now in the hearts and memories of many and your spirit now a guardian to those in which you had no choice but to leave behind. May you always be remembered in our hearts and minds for who you were and for that which you are. Moonlight: A soft and gentle light that giudes our spirit safely through what would otherwise be our darkest times. With our path lit we are safe. Thank you Moonlight. Jennifer, for you more than most the loss of Moonlight would have been and I dare say still is a great sorrow. My sympathies and my thoughts are with you both.